Primavera Sound 2019 is hailing “The New Normal” this year announcing an equal split of male and female talent locked in for its festival antics this May. And this year, the festival is making a stand, to break down gender barriers and embrace all facets of diversity throughout the music industry. This means not only is the new-age lineup something to gear up for and one for the times, but there’s an eclectic mix of genres that bend from extreme metal to reggaeton, pop to jazz and trap to EDM experimentation. As for the actual gender-equal lineup, it includes Tame Impala, Solange, Future, Nas, Maribou State, Erykah Badu, Miley Cyrus, Charli XCX, Janelle Monae, James Blake & many more. 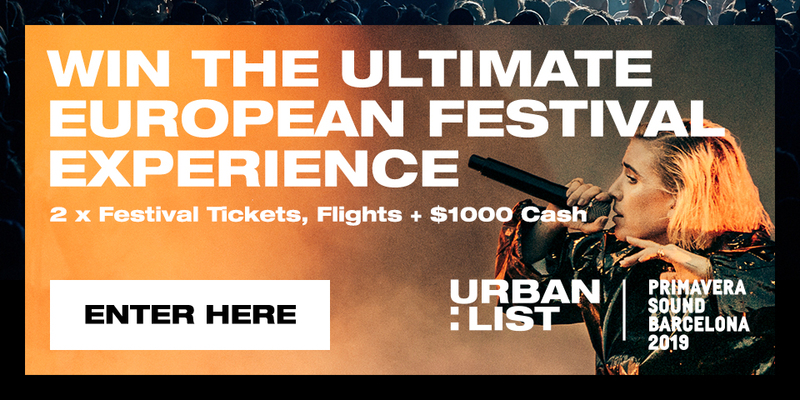 What's even better, is that Urban List have partnered with Primavera Sound to bring you the opportunity to win a trip to the festival worth up to $5,000. Enter here. Scope the entire sling of talent (226 artists and groups to be exact) below. This move to make a 50/50 gender split on music line-ups stems from a grassroots level for Primavera Sound, with the festival putting forward the question of “if half our audience is female, why shouldn’t half our line-up be so too?”. The 19th sling of the Spanish festival has since been hailed as a new-age festival of festivals, pushing for urgency on a global commitment by hundreds of other massive music events (headed by UK advocacy group Keychange) which have pledged to establish an equal gender split in their respective line-ups by 2022. And, it’s the first time a blowout of this scale has reflected wider cultural trends, capturing movements of fourth-wave feminism wave and inclusivity throughout its performances. Primavera Sound runs from May 30 to June 1 and will take place at Barcelona’s Parc del Forum.